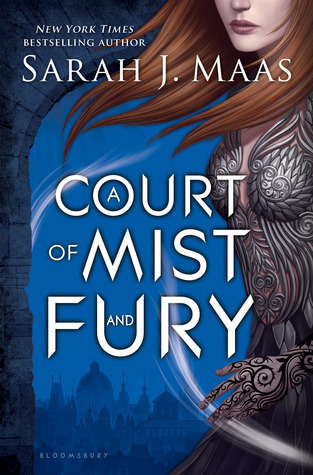 Blurb Description: Feyre survived Amarantha's clutches to return to the Spring Court—but at a steep cost. Though she now has the powers of the High Fae, her heart remains human, and it can't forget the terrible deeds she performed to save Tamlin's people. Full disclosure? A Court of Thorns and Roses did NOT impress me, not until the very end, and not even that much then. Full disclosure? This is probably because I was expecting a Celaena/ Aelin and for three quarters of the book, Feyre was the exact opposite. 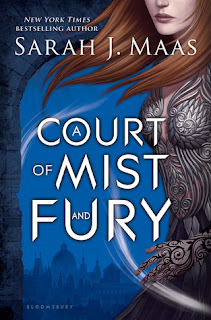 And so, A Court of Mist and Fury was not one of my most anticipated reads of this year, and definitely not like Empire of Storms is, but I was going to be reading it anyway. And now, a few hours (Read: 28 hours, 42 minutes) after closing ACOMAF and staring at the walls because life without these characters is not worth it, I would sell my unborn child, a few limbs, a kidney and even bits of my soul for the next book. NOW. Or, perhaps, to be transported to this world and never leave. Or, perhaps, get to live with Rhys in his home, or in the Court of Dreams, or Velaris, or SOMEWHERE. Because for God’s sake, I’M DYING HERE AND I NEED SOMETHING. All ye great inventors, WHERE IS THE FICTIONAL WORLD TRANSPORTER? Because it was perfect, wonderful, mind blowing, brilliant, heart wrecking, action filled, swoon worthy and EVERYTHING I never expected. A Court of Mist and Fury is Sarah Maas’s best work till date. The second book picks up three months after the challenges Under The Mountain, in the Spring Court, with everyone still on edge. The horrors they all endured at Amarantha’s still plague their every moment, both awake and asleep. The things that Feyre did for Tamlin, for Prythian made her lose herself and she doesn't know how to salvage the shattered pieces. I'm giving away a copy on Instagram! Kept like a princess locked in a tower to protect her, Feyre is not allowed out of the Spring Court Manor. To protect her, Tamlin says. To make sure nothing and nobody can harm her ever again. On her hand, though, the tattoo reminds her of her bargain. The bargain she made in the darkest of nights, with night himself. One week, with him at the Night Court, once a month. But maybe Tamlin isn't who Feyre thought he was, maybe Rhysand isn't the monster everybody believes he is. Maybe the immortal high fae with the human heart isn't who she used to be - maybe she's more. Maybe she's what this broken world needs. I'm not going to go further into what this book is about, but as I write this review all this time later (3 days?) I'm still feeling all the feels. ALL OF THEM. This book was so bloody beautiful, I find myself at a loss for words. 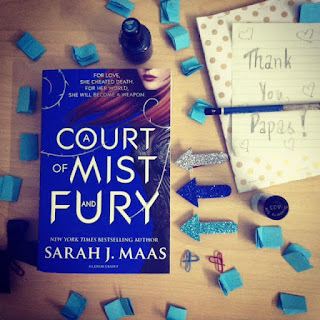 I loved the depth of each and every character, the way Maas makes you feel every move, every bit of darkness, every bit of swoon and ship her characters like nobody else has the power to. A Court of Mist and Fury is dark, seductive, wonderful, brilliant - a masterpiece. A million star and the highest praise for the best fantasy I've ever read. WHAT IS YOUR OTP? WHAT IS YOUR FAVOURITE FANTASY? WHICH FANTASY WORLD DO YOU MOST WANT TO BE IN? 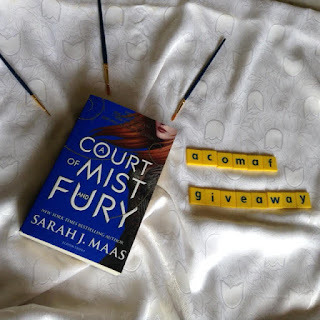 Let's talk swoony book boyfriends and girlfriends, and If you've read ACOMAF, let's freak out together!